Why can’t we just get along: engineers and anthropologists at it again! My apologies for having been slow to post. I am working on the new book and with a deadline looming, every word I can put to paper goes to that. I did have a chance to bang off an essay for the Harvard Business Review blog. It asks why engineers can’t take culture more seriously. The post went up yesterday, but I only found out today. My apologies for being slow to let you know. I just found out this morning. You will find the post by clicking here. 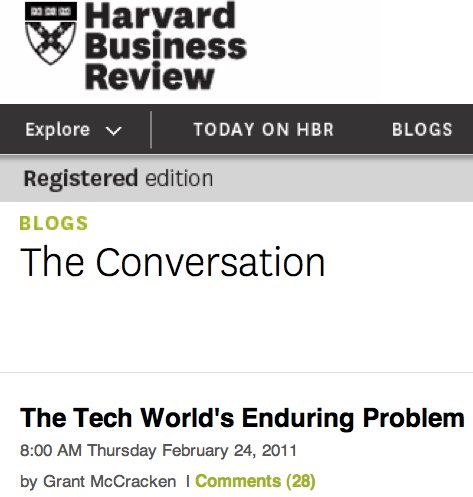 This entry was posted in Uncategorized and tagged HBR on February 25, 2011 by Grant.